As dynasty owners and essentially amateur scouts, we all have certain players we find ourselves intrigued with. Often times players we loved coming out of college are drafted to situations that are not advantageous to their immediate fantasy production. One such player for me has been Jaylen Samuels. During my scouting of this player, I found him to be a unique athlete capable of being a dynamic playmaker from anywhere on the field. We have seen several players come into the league as “athletes” or players who could fill multiple roles within a system. 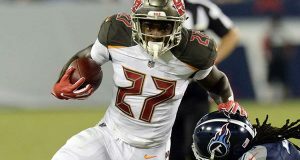 Players such as Percy Harvin, Antwaan Randle El, and others have navigated their way through the league and usually settled in as receivers for their respective NFL teams. Unlike the great majority of the players who came into the league with similar designations in the past Jaylen Samuels has transitioned to a running back. While many in the dynasty community would still consider him to be buried behind Pro-Bowl RB James Conner I personally take the contrarian point of view and feel that now is an excellent time to buy the former Wolfpack standout. The former N.C. State great was drafted with the 28th pick in the 5th round of the 2018 NFL draft by the Pittsburgh Steelers. Samuels was truly a unique playmaker during his time at N.C. State. I can think of no other player who was on the watch list for the Biletnikoff award (Nation’s Top Receiver), a finalist for the Mackey Award (Nation’s Top Tight End), and was eventually drafted as a running back. Samuels was truly a Swiss Army Knife for the N.C. State coaching staff. As you can see from his stats Samuels was both an effective receiver and rusher with a genuine nose for the end zone. As you might imagine a player with that type of versatility ingratiated himself with the coaching staff. His college position coach Eddie Faulkner told the Pittsburgh Tribune of Samuels after he was drafted that, “He’s very similar to a Le’Veon, to be honest with you” further clarifying his statement saying that “He’s a really good receiver. He can run the ball. He does a lot of things well.” Now this statement might be considered just a fluff piece if it weren’t for a recent development. Many in the dynasty community may not follow position coach hires in the NFL. Few could blame dynasty owners for not knowing that the Pittsburgh Steelers just hired the very same Eddie Faulkner to be their new Running Back coach. That’s right, the very same coach that compared Jaylen Samuels to Le’Veon Bell was just hired to be his coach in the NFL. Obviously I am not suggesting that Faulkner will come in and automatically install Samuels as the Bell-Cow RB but his familiarity with the player has got to be a feather in Jaylen’s cap. Now I know what many of you are thinking, there is no chance that Samuels could unseat James Conner as the Pittsburgh RB. 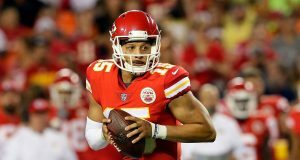 Conner was literally just elected to the Pro-Bowl. In my humble opinion the Pro-Bowl is an outdated popularity contest for the fans and does not measure a player’s true value on the field. A better measure of a player’s worth is the much more selective All-Pro squads. James Conner has an amazing life story and this combined with his early season success garnered him large numbers of fans and consequently their votes. Before we rule out the chance Samuels could overtake him let us consider their production. 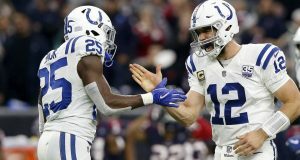 Both players averaged a respectable ypc with Conner averaging 4.5 and Samuels averaging 4.6 albeit on far less carries. Samuels also showed very well in the receiving game with 26 catches compared with 55 for Conner. This was also literally Samuels’ first season ever concentrating solely on the RB position. Now please don’t get me wrong I’m not saying that James Conner is not a fine RB I just don’t believe that he possesses the same explosive skill set as Samuels. Let us look at their combine numbers for a baseline. James Conner: 6’1 233 lbs. Jaylen Samuels: 6’0 225 lbs. We can see from the combine measurable that Jaylen Samuels is a more explosive athlete than James Conner. Both possess the size to be true 3-down workhorses. Conner showed this year especially early that he can be a nice player in his own right I simply believe that Samuels has more potential upside to offer the Steelers. It is beyond question that his new position coach will know the kind of skill set that he has to offer. At the very least Samuels is primed to syphon off work from Conner. Now it is quite possible that I could be reading way too much into the hiring of Eddie Faulkner and that James Conner will be able to hold off the more explosive Samuels and once again dominate the Pittsburgh backfield. 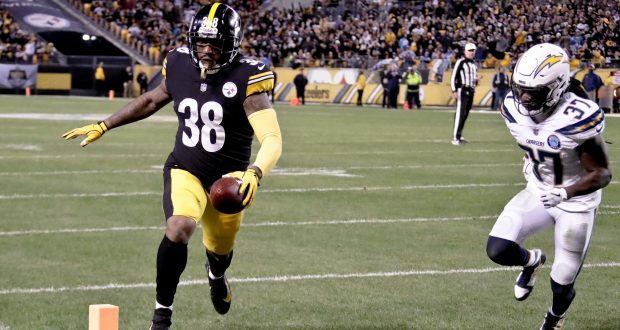 At a bare minimum Jaylen Samuels is the most interesting handcuff in dynasty and a paramount target for all Conner owners to acquire in order to protect their investment while the insurance policy is still reasonably priced. I could very well be wrong here but what if I’m right? Next: Opposing views: Is Baker Mayfield a top 5 dynasty QB?